Can You Save The People of Philadelphia? 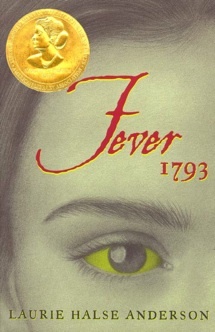 This webquest by David Golod, of Todd Elementary School, will help students gain an understanding of how yellow fever was spread, the disease itself, the medical practices of the day, and the conditions in Philadelphia that led to the outbreak. The goal for the students is to find a way to save the people of the city if they were to go back in time. Yellow Fever has not been seen in the United States since 1905, but it attacks an estimated 200,000 people a year in areas of Latin America and Africa. More than 30,000 people die from the disease annually. Doctors Without Borders /Médecins Sans Frontières is trying to stop the disease by vaccinating people at risk. You can help by fundraising. Or you can raise money for Nothing But Nets, which gives bed nets to African families that keep the mosquitoes out, which prevents both malaria and yellow fever.